Buick on the GM proving grounds in 1934. 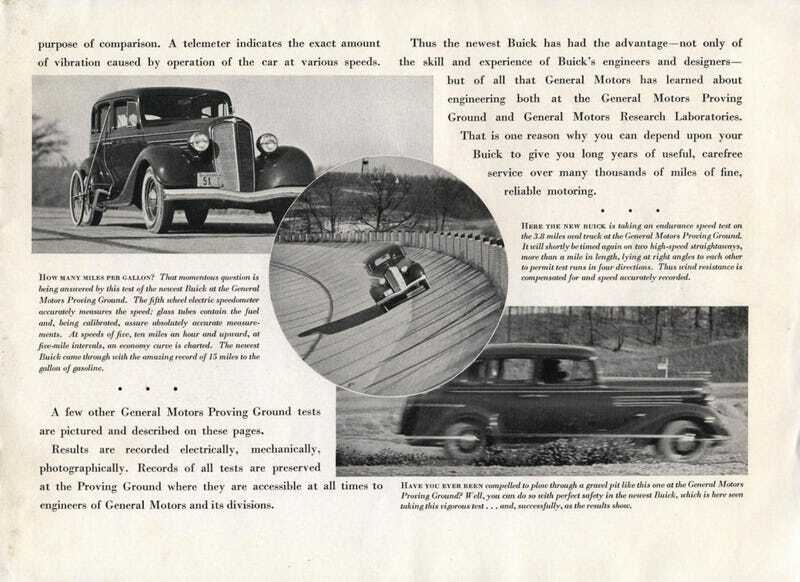 Buick on the GM proving grounds in 1934. Banking! Gravel traps! 15 MPG!